My surname, the Chinese character for "thunder," is pronounced "Louie" in my family's native Cantonese dialect. The calligraphic scroll that it was taken from was commissioned for our restaurant by my cousin Steve and myself in 1976 in Hong Kong; the characters in the upper left hand corner were originally positioned under the Louie character. My full name in Chinese is (lui mun gwai in Cantonese, lei wen gui in Mandarin), simple and short as "Greg" in English. 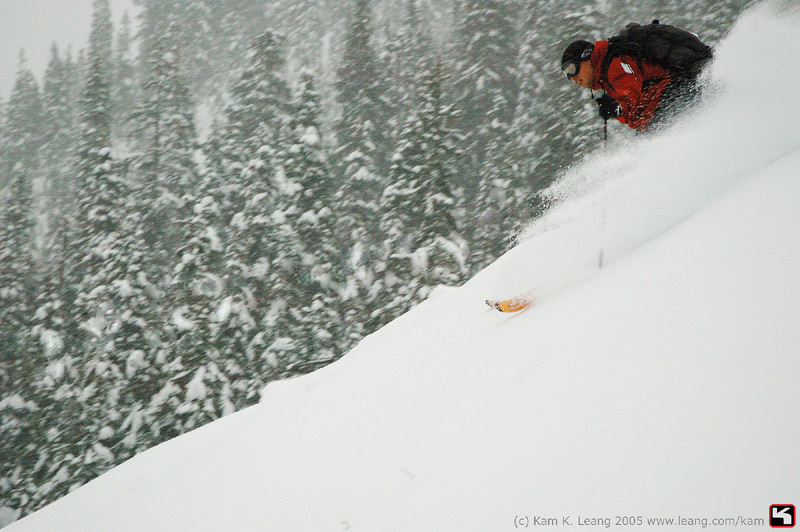 Born and raised in Seattle, I began skiing at the age of 2 in the Washington Cascades, from Hyak at Snoqualmie Pass as a toddler to Crystal Mountain as a junior racer. 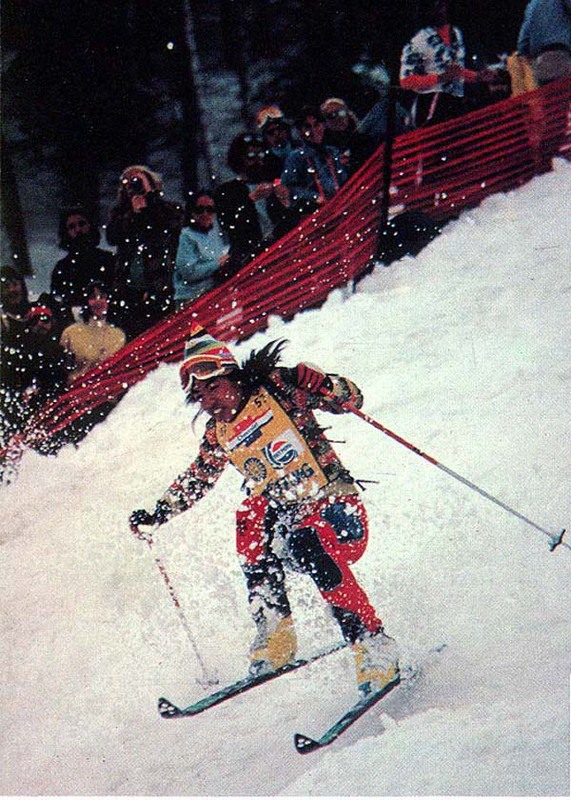 During the 1970's I competed nationally as a freestyle skier and formed a group known as the Sunnyside Sliders, based at Crystal. Following a protracted undergraduate career at The Evergreen State College, the University of Washington, and New York University, I worked in graphic design and film production in New York City and Los Angeles before returning to Seattle with my wife Lindsay and children Nicholas and Jordan in 1991. After nine years as a snowboarder, my interest in skiing was rekindled by backcountry aspirations in the late 90's; several trips with snowboards, snowshoes and heavy packs prompted me to switch to randonnée gear in the search for touring efficiency. My interest in the sport today is stronger than ever. With nearly unlimited off piste opportunities within hours of our home, the major challenges to my skiing explorations are age, fitness, time and health. Please stop and say hi if you see me in the mountains, I look forward to meeting you!